Carmody Construction has been helping Joliet homeowners with home improvement projects since our founding in 1948. With a population of just about 150,000 residents, Joliet is the fourth largest city in Illinois. Due to an affordable housing stock and proximity to several major highways, Joliet continues to welcome small, medium and large corporations to the city, including Amazon, which opened its first Illinois distribution center in 2015. Carmody Construction has completed work in many of Joliet’s neighborhoods and commercial districts, and we are experts in renovation jobs that stay true to the character of the city. As the local housing market continues to grow, Joliet contractor Carmody Construction will continue to be the go-to Joliet window, siding, and roofing company. Carmody Construction is located near Joliet in nearby Oswego. After decades of satisfying homeowners, we have earned a reputation as a leading Joliet construction company. Our experience in both residential and commercial construction in Joliet make us the highly rated choice for all your construction needs, including siding, windows, roofing, and kitchen and bath remodels. Carmody Construction is a family owned and operated contractor. Our owner Patrick Carmody took over the business from his father in 1976. 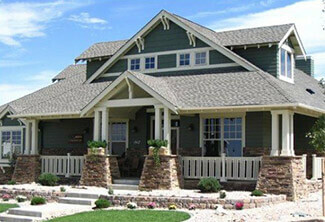 Pat’s sons joined the business in 1991 when Carmody also began building custom homes. If you’re looking for high quality materials and second-to-none craftmanship for your Joliet home or commercial construction project, contact Carmody Construction today! Live in Joilet? Need Windows, Siding, or Roofing Services? Schedule an appointment today! I have recommended Carmondy Construction to friends and neighbors. The job was completed in a timely manner and the clean up outstanding. I put a “rush” on the job due to upcoming holidays and the Carmody Construction crew worked weekends to make sure the job was completed as promised. Would highly recommend them for your siding and roofing needs.